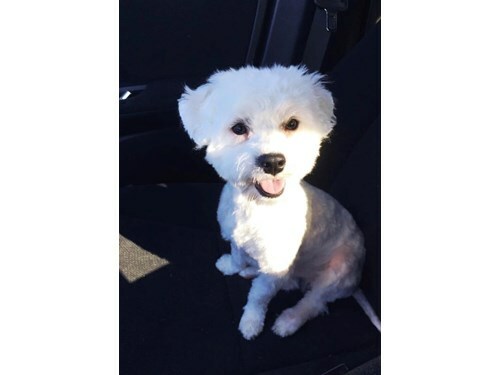 Meiko was last seen in Highwood Park Townhomes around 6:30 pm. He is all white and hair is about 3-4inches long slightly covering his eyes. He has a red collar. He is very friendly.